Durham possesses the finest collection of medieval manuscripts of any English cathedral. 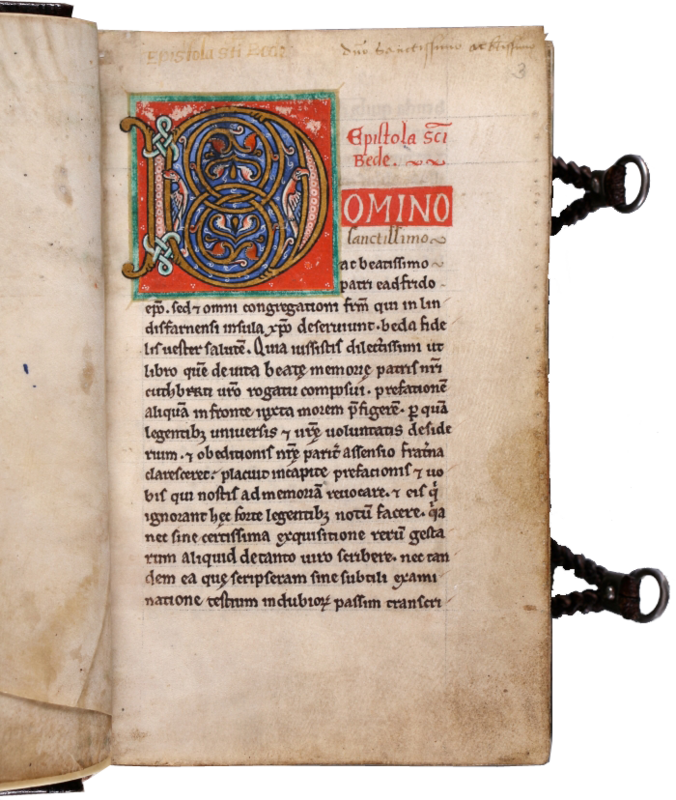 Durham University, in partnership with Durham Cathedral, is engaged in an ambitious project to digitise Durham Priory Library - the books owned and used by the Benedictine monastery of Durham and its dependent cells. contribute to the cultural heritage and economy of the North East, and raise the profile of Durham’s UNESCO World Heritage Site. 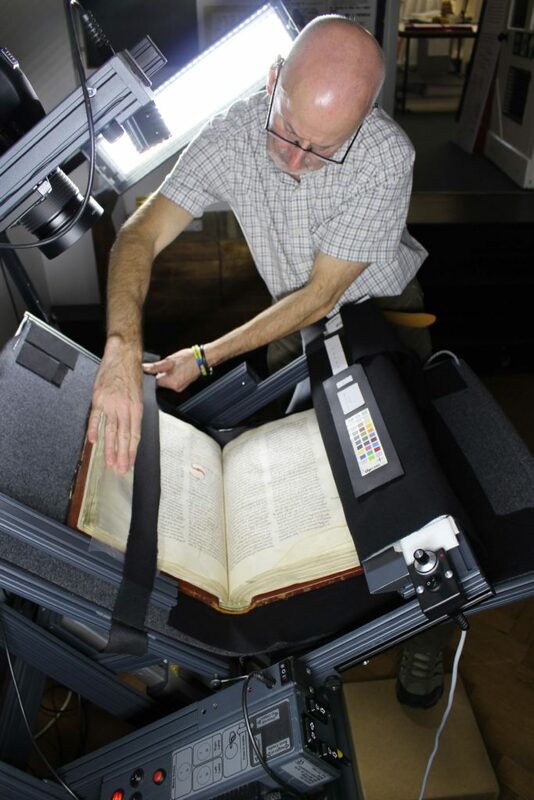 The first phase of this work is to digitise the manuscripts and printed books in the libraries of Durham Cathedral and Durham University that were owned by Durham Priory. Licensed by Durham Cathedral Library under a Creative Commons Attribution-NonCommercial-NoDerivatives 4.0 International License. By the time of the dissolution of Durham Priory, printing had been available for the mass production of books for nearly a century. The extensive collection of printed texts that survive from the Priory make this project not just a collection of digitised manuscripts but also of printed books. These in turn are not just the product of the first fifty years of printing, known as incunables and viewed by some scholars with a reverence similar to that paid to manuscripts, but the later output of the 16th century. 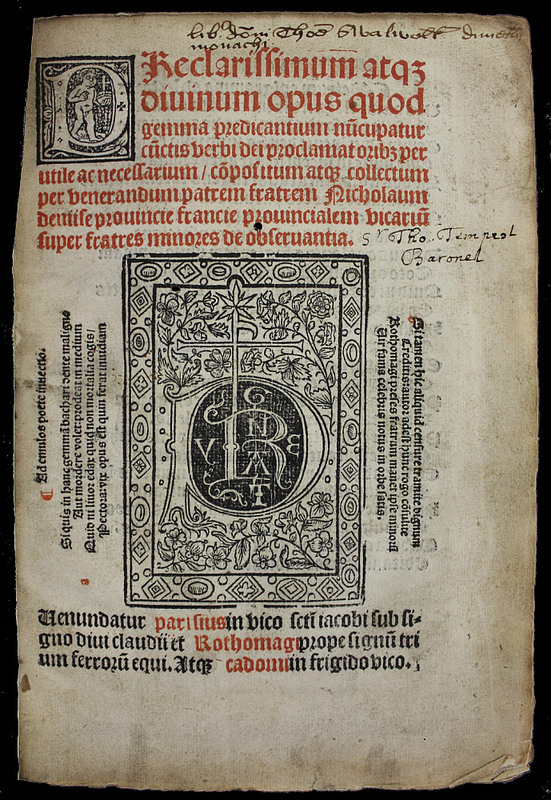 The title page of this small book, a practical manual on preaching, the Gemma predicantium by Nicolas Denyse published in northern France in 1506 shows that print could still produce complex visual effects. It also bears the ownership inscriptions of Thomas Swalwell and Sir Thomas Tempest, the first a monk of Durham Priory who died shortly before the dissolution, the second one of the main owners of printed Priory books that left Durham Cathedral during the 16th century.